I admit it, I’ve become obsessed by mouse taint. If that seems strange or perverse, let me expand. Most wine faults in this day and age are pretty well understood. We know a fair bit about Brettanomyces, volatile acidity, reduction and many other common complaints. Not so with the stray rodent problem. It’s poorly understood, often unrecognised or mis-diagnosed, and in need of further research. My realisation of this deepened over the last month, following publication of two articles which mentioned the topic in passing. Talking to numerous colleagues and wine trade folk, it became clear that many do not know how to recognise the taint, nor had they previously been aware of its name. As mousiness is an issue which affects a surprising proportion of natural wines (mainly those made with no added sulphites), it’s clearly important for professionals and lovers of these wines to understand the issue in more detail. Because let’s face it, almost nobody wants this foul feral flavour (and retro-nasal aroma, of which more later) in their wine. Palate Press isn’t a peer-reviewed science journal, and I am no scientist, so this column isn’t pretending to be cutting edge research. Think of it more as a primer, a guide if you’ve heard about this problem but don’t understand what it is, how it gets into wine, or how you know when it has. What is mousiness in wine? It’s an infection caused by particular strains of the lactobacillus family. The main culprit is probably Lactobacillus hilgardii (Szymanski, Guerra and many others concur). There’s debate about whether Dekkera/Brettanomyces is also implicated, but current thinking is that it’s a seperate issue. Confusingly, it is common for both to occur together with numerous other faults, making it difficult to isolate the cause and the taint. How do I know if the wine’s infected? The distinctive “caged mouse” flavour appears on the finish of the wine. It’s very persistent, and once you taste it, you’ll wish you hadn’t. Unless you are Japanese (See below). Why does the flavour only appear on the finish of the wine? The compounds do not become volatile (and thus detectable) until they mix with something that increases the pH of the solution. This is most commonly saliva, hence mousiness normally only announces itself on the finish of a wine. This can be pretty upsetting and frustrating. Imagine tasting a beautiful wine with vibrant fruit and elegance, then at the last moment just when you’re about to have another sip – Ugh. I don’t understand what you mean by “caged mouse”? People describe the mousiness flavour in many ways. 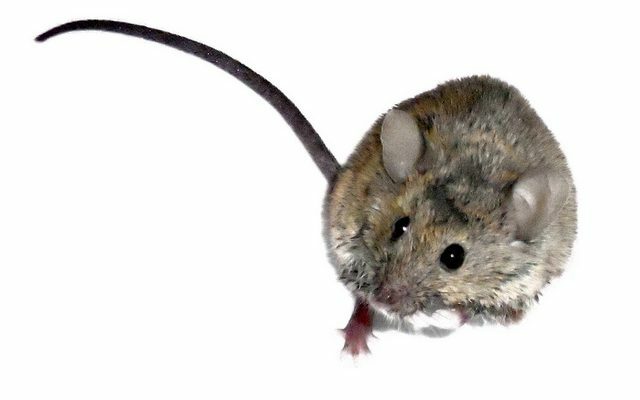 Imagine the smell of a building that’s infected with mice – which is partly mouse urine, or maybe even dead mice. Some find mild infections of mousiness remind them of something yeasty or bready, or a little of sour milk. It’s a rancid, feral flavour, and can be very hard to shake off. Alice Feiring described it as “puppy breath” or “dog halitosis”, which is quite evocative, in a grim sort of way! If it’s so disgusting, how can I check without putting the wine in my mouth? Rub a little of the wine on your hands and then smell. You should be able to pick up the aroma, as your sweat/body heat has the same effect as saliva and makes the compounds volatile. I’m confused. Is it an aroma or a flavour? Why are we seeing more of these wines and more discussion of the issue in the last few years? Because more and more winemakers are experimenting with making wines with no added sulphites, and it’s the lack of enough free SO2 that tends to provide the perfect conditions for these compounds to develop. Will I only encounter mousiness in “no sulphur” wines? Anecdotally, I have only encountered serious infections in no sulphur wines. The addition of a very modest dose of sulphites after fermentation is enough to nuke the problem. Why would a winemaker willingly bottle and try to sell wines that are infected? Good question – but it isn’t always obvious to the winemaker. The infection can develop in the bottle, sometimes years after the wine was bottled. Furthermore, tolerance to the taint seems to be highly variable. How can winemakers prevent it? According to Bibiana Guerra, the bacteria enter the winery on the grapes. Rotten grapes are the biggest risk, so rigorous selection during the harvest, and healthy fruit is a good start. Keeping the pH low (generally high acidity) is also important, as are good storage conditions with a cool, stable temperature. And overridingly, sulphur. The addition of as little as 10 mg/litre (ppm) can be sufficient to chase away any issues. This is certainly an issue. The compounds may develop at different speeds in different bottles, however if the tank was infected, the potential for infection is there in every bottle. I’ve heard mousiness can subside as the wine matures in the bottle. . . This is contentious. Some, such as producer Eric Texier, MW Isabelle Legeron or consultant Pierre Sanchez insist that it does. Evidence appears to be anecdotal only at this stage. Does anyone actually like mousiness? Reportedly the Japanese do. More than one winemaker has joked “if you get a mousiness infection, the only thing you can do is to send that batch to Japan”. Can I find some wines that have this problem? I can’t think why you’d want to, but here are some from recent tastings that in my opinion should come with a health warning. Don’t say I didn’t warn you, but pay careful attention to the vintage. That’s curious you say rubbing some wine on your hand can alert you to the problem. I know of one MW who does exactly that to supposedly help her identify Brett; so I guess the two are often mistakenly lumped together? Yes, brett and mousiness are often confused, and it used to be stated quite often that both were caused by Dekkera. THe best of my knowledge, as detailed above, this is not the case. The big challenge is that where one occurs, the other may well follow. As such as you have hygiene or bacterial problems it seems it can easily spiral out of control. You are absolutely right about La Vigne d’Albert. A stupid typo on my part, now corrected.